Lander University and The Burton Center launched a new partnership Tuesday with the opening of Lander University Equestrian Center on The Burton Center campus. 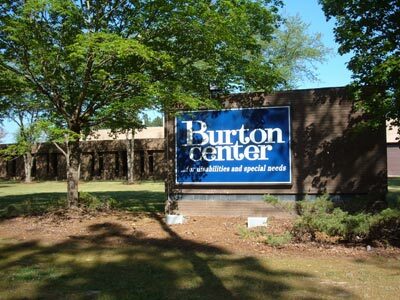 The Burton Center will be home to Lander University Equestrian Center from October, 2009. The Equestrian Center is located at 2605 Hwy. 72-221E in Greenwood, and will provide therapeutic and education labs for special education, nursing, psychology, physical education and exercise studies. The 37-acre facility will house the Lander University Equestrian Team and hippotherapy and therapeutic riding programs for Burton Center consumers and others with disabilities and special needs in the community. “This is a natural partnership because the mission of The Burton Center and Lander University is basically the same, to improve peoples quality of life,” Lander University President Dan Ball said. Ball and Jimmy Burton, executive director of The Burton Center, said each of their groups had a lot to gain from the facility, and even more to gain from working with each other. For instance, Ball said, students who study hippotherapy will be out at the Equestrian Center working with Burton Center consumers, giving the student the hands-on experience they need to master the field, and the consumer will benefit from a proven physical therapy method. “We expect this to be a very long lasting partnership, we’re etching this in stone forever” Ball said.